Well. I've made a christmas card! 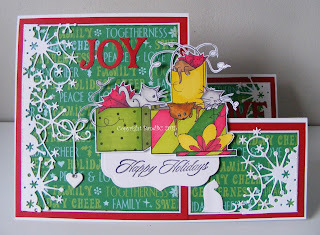 I got the gorgeous image "curious gifts"
I diecut a dovecrafts shape, before stamping it, for the sentiment. I diecut the words joy and love, too. 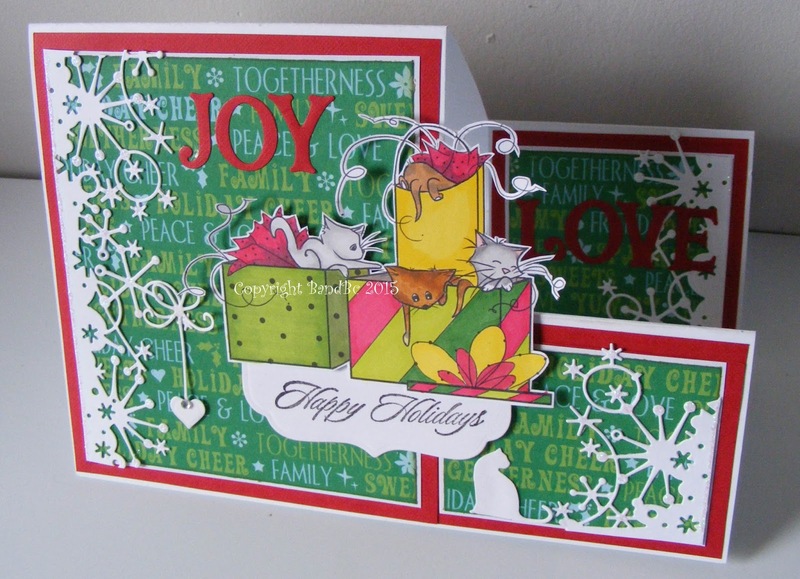 The hanging heart and snowflakes border are all diecut - using memory box dies. to raise it slightly from the card. I think the backing paper is from DCWV - I've had it a looong time! though they are quite hard to see in the picture. Fab card Vic & you've coloured those kitties just like 2 of mine! this is a really great card. I love the stepper design and your image and papers are gorgeous. 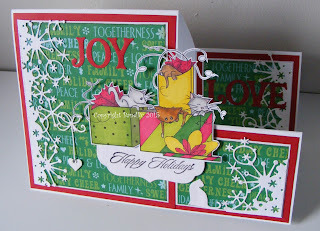 Love the dies, the image, and your card shape - this is a fabulous Christmas card. Thanks for sharing it with us in the DRS Designs Challenge.